So, sometimes we crave sweets. Even more so, we want chocolate. But before you reach for those store-bought chocolate cookies, cake or brownies – hear us out. That’s right. We have the perfect recipe for you. 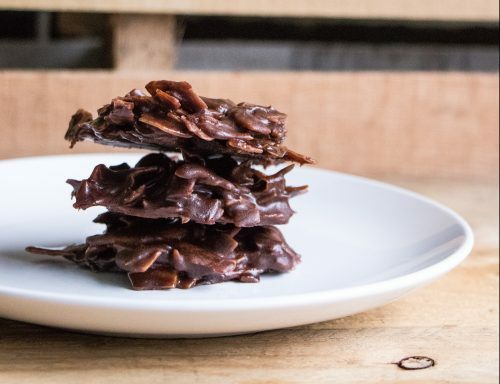 These paleo no-bake cookies are a chocolate lover’s dream. All without any of the guilt. They are made with just a few, simple ingredients that when put together, make for the sweetest treat. In fact, you probably already have all of the ingredients sitting in your pantry! These cookies are ready in just a few minutes of active cooking time – about 10 minutes total. 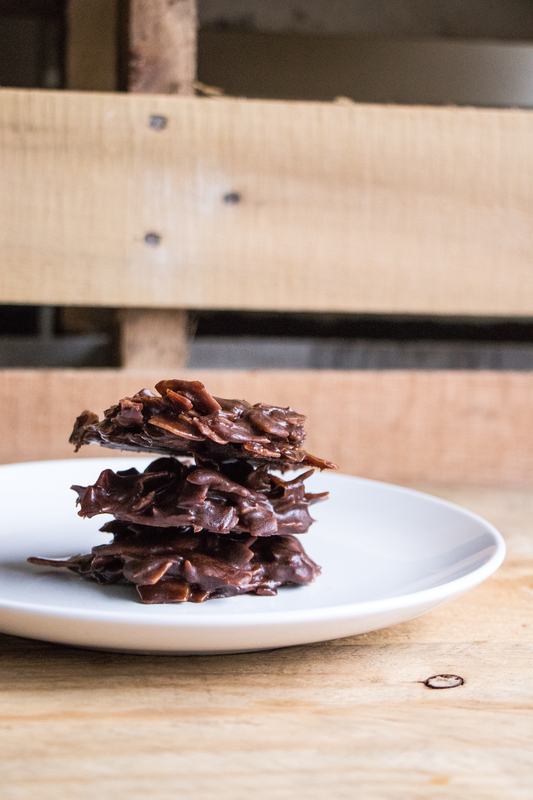 And the star ingredient – our let’s do organic coconut flakes. 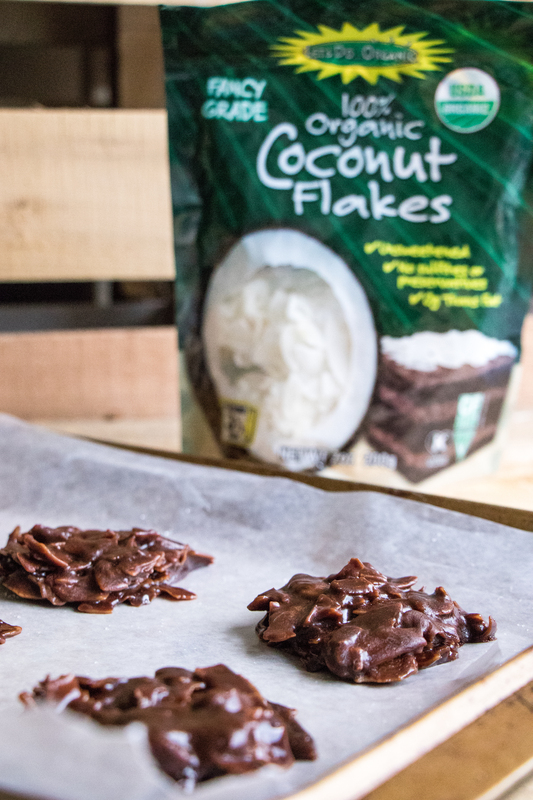 They are pure coconut, sustainably gathered and absolutely delicious. You seriously can’t go wrong with them. If you want to have a little more variety with this recipe, feel free to substitute 1/2 cup of pecans for the 1/2 cup of coconut flakes. Plus, you can make these whenever – they’re honestly perfect for almost any situation. 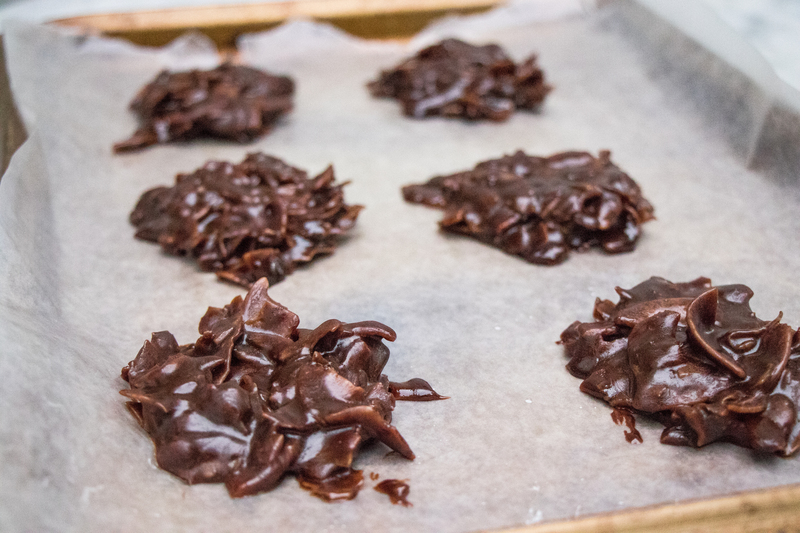 Make these when you’re about to have some friends over, are looking for something new and fun to do or just HAVE to have something chocolatey. Enjoy! Add coconut milk, coconut oil, coconut sugar, maple syrup, cacao, and vanilla to a medium pot and bring to a boil. Boil for 3 minutes, then remove from heat. Immediately add coconut flakes and salt, stirring until completely coated in the chocolate mixture. Drop by large spoonfuls onto a parchment paper lined baking sheet and let cool for at least 30 minutes. Store in an airtight container or freeze.